REAL SCHOOL EVENTS YOU DON’T WANT TO MISS! From concerts and showcases to workshops and special events, this is where all the action is. Showcases in Burlington + Andover! Two showcases most evenings at 6:00 + 7:00pm and Saturday's 1-2pm. Call for more information: 888-881-7325. 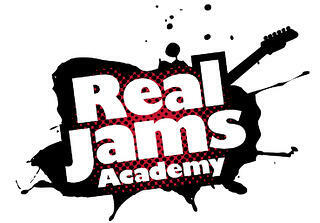 Each showcase is live streamed at https://www.youtube.com/user/RealSchoolOfMusic. Join us at The Burren in Somerville, MA for an offsite Student Showcase featuring several of our ensembles! This event will feature bands from both Real School Burlington & Andover! If you are performing, be sure to direct all performance related questions to your ensemble instructor or the front desk team! We will soon be providing a lineup and schedule for the day. This event will be broken into TWO time slots, 12-2PM and 2-4PM so we can better accommodate family, friends and fans. Ticket sales go to benefit the OVATION MUSIC FUND, which works with community partners across the USA to help provide low-income children under the age of 18 with a premiere music education experience. Event description sed ut perspiciatis unde omnis iste natus error sit voluptatem accusantium doloremque laudantium, totam rem aperiam, eaque ipsa quae ab illo inventore veritatis et quasi architecto beatae vitae dicta sunt explicabo. Join us at TUPELO MUSIC HALL in Derry, NH for an offsite Student Showcase featuring several of our ensembles! This event will feature bands from both Real School Burlington & Andover! If you are performing, be sure to direct all performance related questions to your ensemble instructor or the front desk team! We will soon be providing a lineup and schedule for the day. This event will be broken into TWO time slots, 12-2:30 PM and 2:30-5 PM so we can better accommodate family, friends, and fans.